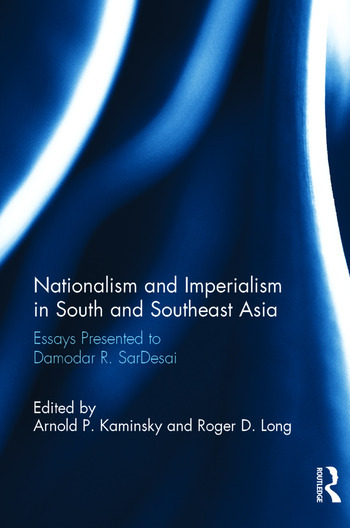 This volume is a festschrift for Damodar Ramaji SarDesai (b. 1931), Professor Emeritus of History at the University of California, Los Angeles (UCLA) where all of the contributors received their Ph.D as did SarDesai himself. His work for over fifty years at UCLA has been an inspiration to generations of students, and he has made major contributions to the world of learning, and in his chosen areas of specialization of India, especially its foreign policy with regard to Southeast Asia, imperialism and the history of the modern European empires; and Southeast Asia. He has served as Chair of the History Department at UCLA as well as Bombay University and President of the Asiatic Society of Bombay. The volume includes a biographical introduction and a bibliographic essay on SarDesai’s major writings and contains new and cutting-edge essays on the design of imperial Vijayanagara; famine policy in colonial India and how European imperialist policies created, or exacerbated the impact of, famines; the relatively unknown chapter of ‘Chinese Gordon’s’ brief Indian career; reflections on the Tamil humanist A. Madhaviah, a man ahead of his time; nationalism and the career of industrialist G.D. Birla, Gandhi’s friend; the ‘Chindia Problematic’—India and China relations; the state of Philippine historiography and its nationalist impulses; the role of Vietnamese highlanders in the Vietnamese nationalist struggle and their recent plight; early Malayan nationalism; and the efforts of American administrators to protect Philippine highland natives from being forced to participate in international exhibitions as curiosities from the American colony. Arnold P. Kaminsky is Professor of History at California State University, Long Beach, USA. Roger D. Long is at Eastern Michigan University, USA.